I think the message of the gospel is beautiful, but at times I get accused, either overtly or indirectly, of misrepresenting or downplaying it. You see, I work in aid and development, facilitating and advocating for social action among some of the poorest and most vulnerable people in our world. Such work, some well-meaning people argue, is dangerous for the Christian. However I don’t believe social action distracts or detracts from the gospel message. In fact, I think it helps to express its true beauty. At the outset, it’s perhaps helpful to cite what exactly I mean by the gospel message, and so in summary: Since the creation of humankind, sin has existed in the world, because all people have sinned and fallen short of the glory of God (Romans chapter 3, verse 23). Sin brings with it death and decay, for human beings, and for the world which we inhabit (Romans chapter 5, verse 12). However, God so loved this world and those in it that he gave His Son, Jesus Christ, as our substitute, paying the penalty of death necessitated by our sinfulness on the cross so that we might not perish, but have eternal life (John chapter 3, verse 16). To receive this, we must repent of our sinfulness (Luke chapter 13, verse 3), turning away from our life of sin and death, and we must believe in Jesus (who he is: the saviour, and what he has done: died and rose again for our sins). God rose Christ from the dead, and so if we believe in Him, we can be sure that God will do the same for us (2 Corinthians chapter 4, verse 4). It’s a message I love with all my heart, for it represents the story of my own journey from death to life. It’s a message of Christ’s love for us. Furthermore, it’s this message of love that compels me to care so deeply for those in need around the world. Jesus ties these two commands together, because our love for God, and recognition of His love for us, should compel us to love others. The gospel message, a message of love, is what compels us to show love to others. Whilst one way of showing that love is to verbally share the gospel message with those who do not know it, we can see in this passage that God expects us also to show love by sharing our abundance with those who have need. God expects this of us, because such generosity can be seen in the very character of God, who He is. Psalm 146, verses 7 through to 9 talk of God upholding the cause of the oppressed, giving food to the hungry, setting prisoners free, giving sight to the blind, watching over the foreigner, and sustaining the fatherless and the widow. This Psalm presents a beautiful image of God as one who deeply cares for the most vulnerable. As believers, it is God who works in us (Philippians chapter 2, verse 13) through the Holy Spirit (cf. Romans chapter 8, verses 14-16). So if God’s nature is to care for the poor, then we will be compelled to do the same. As we do so, we will reveal to those we care for something of God’s beautiful character, and testify to them the gospel message which compels us to act as we do. As Christians, we perform social action in the image and name of God as a beautiful act of generosity compelled by His exceedingly generous gift told through the gospel, and so such action demonstrates to all the beauty of that gospel message. It is a message so beautiful that someone would abandon all worldly success to give generously to those most in need. A message that such a person can then share with conviction to those whom they serve in love, compelled by the love God first had for them. 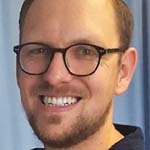 Brent is the Queensland State Representative for Baptist World Aid Australia and is a registered pastor with the Baptist union of Queensland. He completed a Bachelor of Theology with honours in New Testament through Malyon College in Brisbane, where he now lives with his wife, Jane. His favourite bible verse, James 1:22, is what motivates him to challenge Christians on their response to the poor and the marginalised. Are we kissing evangelicalism goodbye? Copyright © 2018 Christian Today. All Rights Reserved.